Little Tikes TotSports T-Ball Set Beginning T-ball set includes an easy-to-use oversize bat, 2 oversizebaseballs and tee. 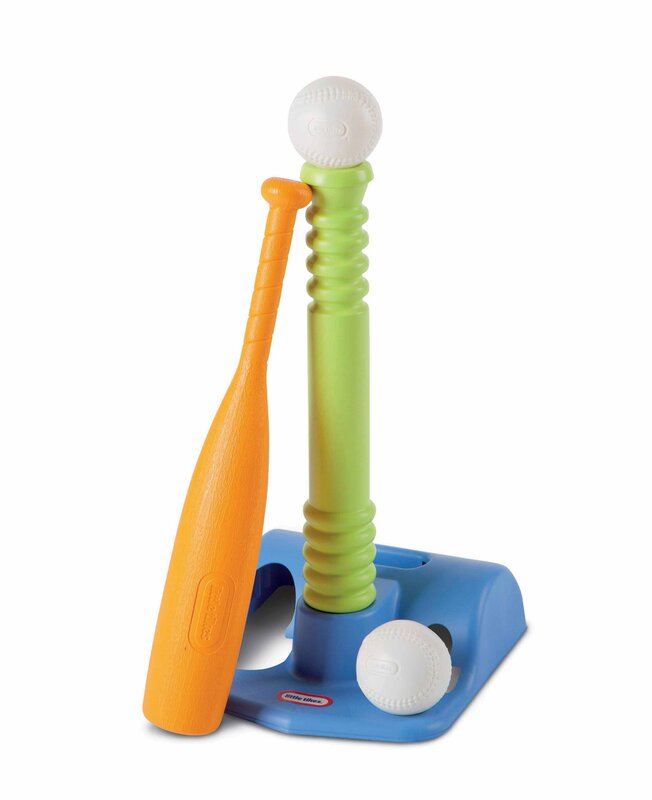 Features: Adjustable height "T" adapts to a child's developing skills Special "hang-on-the-wall" design for easy small-space storage Helps improve batting skills, motor skills and coordination From the Manufacturer Beginning T-ball set includes an easy-to-use oversize bat, 2 oversizebaseballs and tee. Adjustable height "T" adapts to a child's developingskills. Special "hang-on-the-wall" design for easy small-space storage.